One of my favorite places to visit while on vacation are the botanical gardens. It's always so quite and peaceful and the many varieties of plants and flowers create such a beautiful setting for fragrant smells and bright colors. 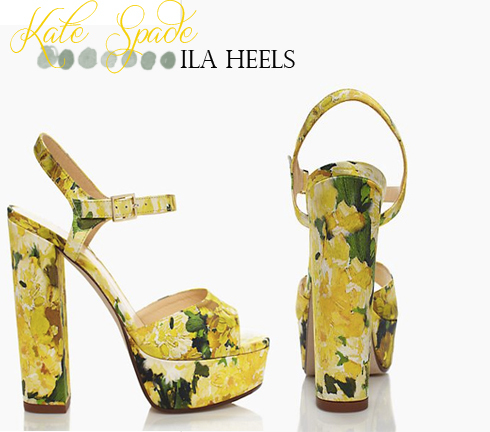 These Kate Spade heels remind me of a perfect day strolling through the grounds. With florals being so effortlessly feminine, I like how these are slightly more abstract and create a bit more of a blurred image- easily allowing you to pair them with much more than just a dainty dress. What do you think of these floral heels?